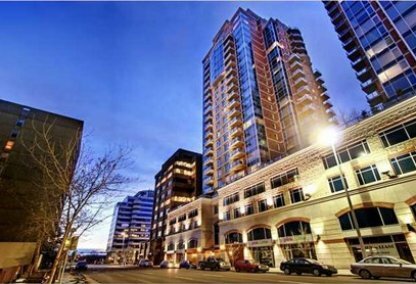 Search Downtown Calgary condos for sale in Calgary! Downtown, strictly speaking, is not a single neighborhood. For all intents and purposes, it is a large community comprised of several districts and three neighborhoods—East Village, West End, and Commercial Core. 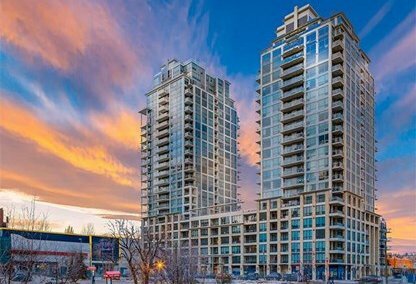 For information about the newest listings for sale in Downtown Calgary or to schedule a private condo showing, contact your Downtown Calgary Calgary real estate experts today. 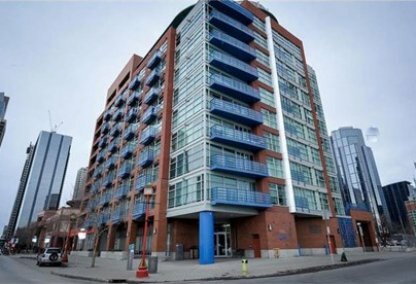 Downtown Calgary housing market statistics: As of April 25, 2019 there are currently 47 properties for sale in Downtown Calgary listed as active, with an average asking price of $552,381. The highest-priced property is $2,999,999; the lowest priced property can be purchased for $149,900. Downtown Calgary neighbourhood listings have an average price of $551 per square foot, based on listings with 1.5 bedrooms, 1.5 baths, and 925 square feet of living space. Selling or buying a home in Downtown Calgary soon? Call Justin Havre at RE/MAX First - 403.217.0003. Our community of Downtown Calgary real estate agents will help you navigate the Downtown Calgary housing market in Calgary. This neighbourhood is as old as the city of Calgary itself which was founded in 1875. Downtown real estate’s location in central Calgary is bordered on the west by 14th Street W., on the north by Eau Claire and 3rd Avenue S., on the east by the Elbow River, and on the south by the CPR mainline tracks. Downtown East Village and Downtown West End are the two residential neighborhoods of this community. Apartments and condominiums dominate the Downtown’s residences, comprising 99.7 percent of the total homes in the community. Rentals account for 95.9 percent of the area’s housing. Besides East Village and West End, several residential neighborhoods are adjacent to Downtown Calgary. Immediately to its north is Eau Claire, Chinatown is at its northeast, while the Beltline's homes for sale are at the south end of Downtown. These three residential areas are usually regarded as part of Downtown, while in fact they are not. The residents of these communities enjoy close proximity to the many attractions and amenities of Downtown Commercial Core which is comprised of these four districts: The Olympic Plaza and Cultural District, Entertainment District/Stephen Avenue, and the Government District. The primary retail properties of Downtown are located around Stephen Avenue Walk, a pedestrian mall of historic buildings which host retail shops, galleries, bars, pubs, nightclubs, restaurants, and cinemas. Two shopping malls -- The Core Shopping Centre and the Scotia Centre -- are also located in the Stephen Avenue area of the neighbourhood. The upscale department store Holt Renfrew and the historic Hudson Bay Company store are likewise in this district. Other offerings for tourists and residents alike in the Commercial Core include the Glenbow Museum, the Calgary Tower, the Devonian Gardens, the Telus Convention Centre, and the EPCOR Centre for the Performing Arts. Thinking of buying or selling a home in Downtown Calgary? Let our local real estate agents help guide you through the purchase of your next property, or to professionally negotiate the sale of your current home. As local Downtown Calgary real estate agents, we're experts on the market dynamics unique to the Downtown Calgary real estate. We'll get to work today! Contact Justin Havre at RE/MAX First - 403.217.0003 to learn more about buyer or seller representation. Planning to sell your Downtown Calgary home? Check out our home evaluation tool, where you can instantly view Calgary Homes Values online!